Company Profile : Debt Collection Connecticut : Mechanics Leins Westchester : Yonkers : U.S. Asset Recovery Services, Inc. 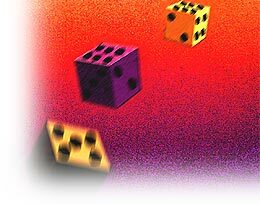 Collecting the money you are owed is not a role of the dice. At U.S. Asset Recovery Services, we believe in solid experience, hard work and unyielding persistence. That's how we get the job done for our clients. U.S. Asset Recovery Services is based in Yonkers, New York. We represent clients primarily throughout the NY tri-State area. We have a significant base with Florida contractors as well. U.S. Asset Recovery Services is led by Christopher T. Bonante, President/CEO. Supported by a team of specialized legal staff, accountants, and private investigators, U.S. Asset Recovery is able to bring our particular industry expertise and contacts to bear on almost any case. U.S. Asset Recovery, with its skilled team of professionals, has achieved a nearly 90% success rate for its clients. The reputation we enjoy of “getting the job done” has been well earned as our client testimonials will attest.